Senheng was first established in 1989 and continuously strives towards its mission to create a better quality of living for customers, employees as well as the society. Senheng is the leading electrical chain stores in Malaysia with more than 120 showrooms nationwide. Helmed by the Lim brothers, K.H., K.C. and K.Y., Senheng® has gained its reputation and credibility that has made it the number one in the industry through progressive, forward looking, and innovative touches. We provide the best services to our customers and a great working environment for our people. We endeavour to be an employer of choice that attracts, retains and motivates talented and performance driven people to be part of our dynamic team. As part of our employee value proposition, we ensure that we fulfill aspects of work-life balance, staff engagement, positive working culture, leadership and career development for our employees. All Senheng Sales Personnel underwent a stringent training programme to enhance service professionalism as well as product knowledge. English Movement is now part of our training programme which provides us with quality English training for our employees. This way we enhance our employee’s skills and therefore our quality in providing the best service to our customers. English proficiency gives us more access to readily available information in our field. 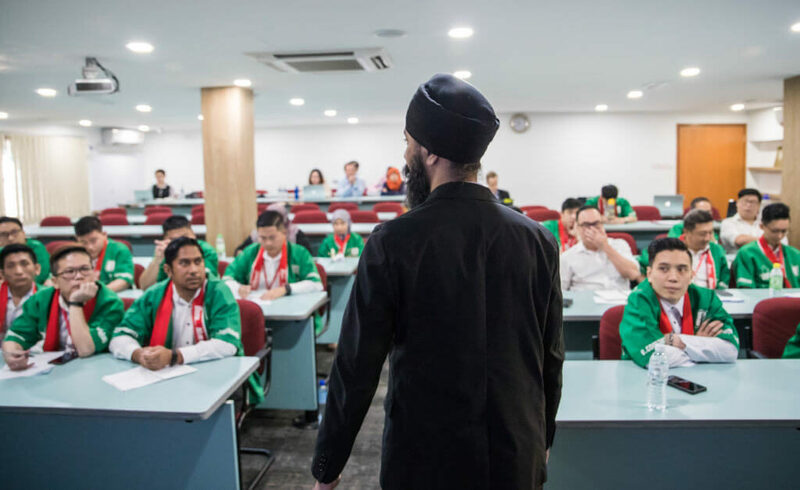 We strongly believe in making a contribution to the nation, and we’re doing this by equipping our employees with the proper English skills needed to make a better connection with everyone around us.